The only problem with the addictive card game CD Projekt Red included in The Witcher 3: Wild Hunt is all the witching one has to do to play it. 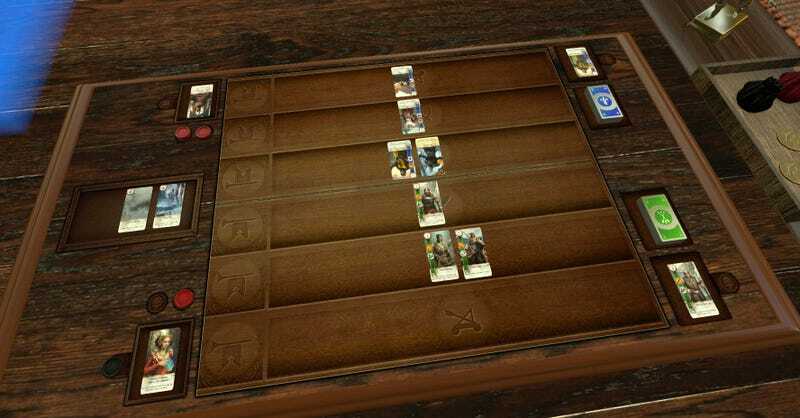 Thanks to a mod for Tabletop Simulator, the witching is now optional. Now I don’t really mind hopping into The Witcher 3 to get my Gwent on, but as with any enjoyable card-based mini-game (Final Fantasy’s Triple Triad comes to mind), having a quick and easy way to play is always nice. Until CD Projekt Red releases a standalone version of tablet and PC, [MeoW] »Mr.RiZZaH«’s Steam Workshop mod for Tabletop Simulator (via Owen Good at Polygon) is the next best thing. You’ll need a friend to play with—there is no AI to battle—but that’s really the best way, isn’t it?